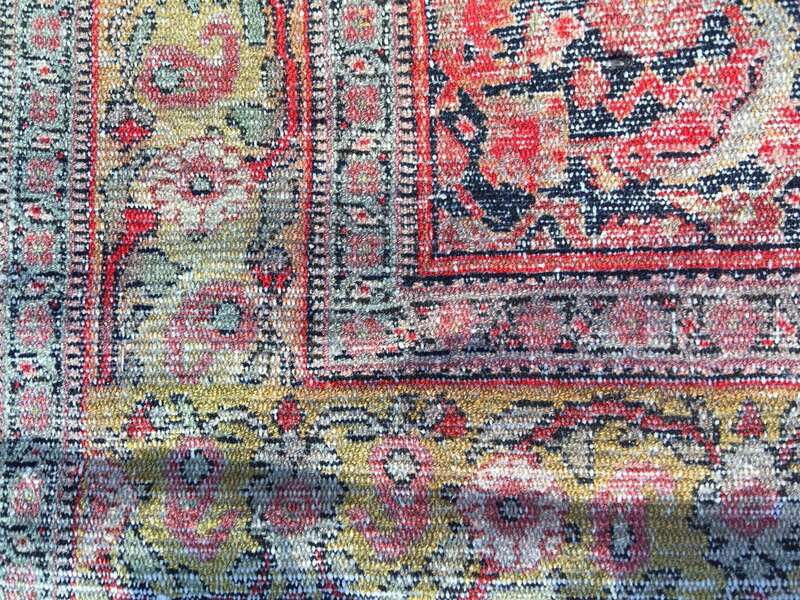 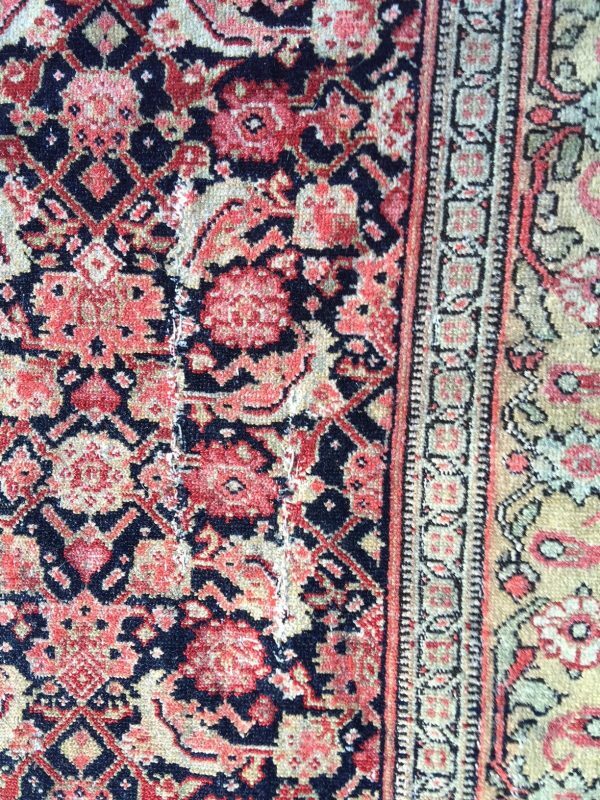 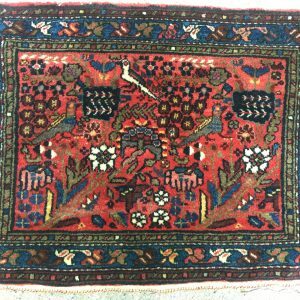 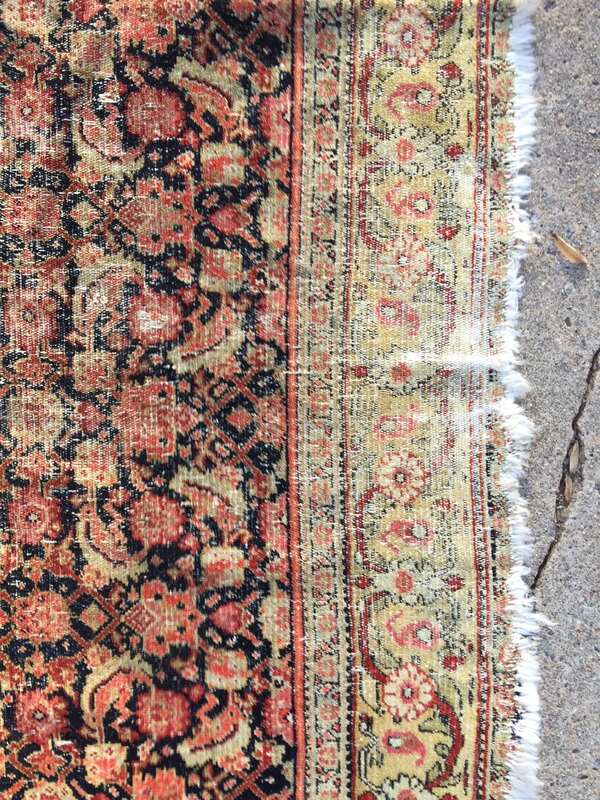 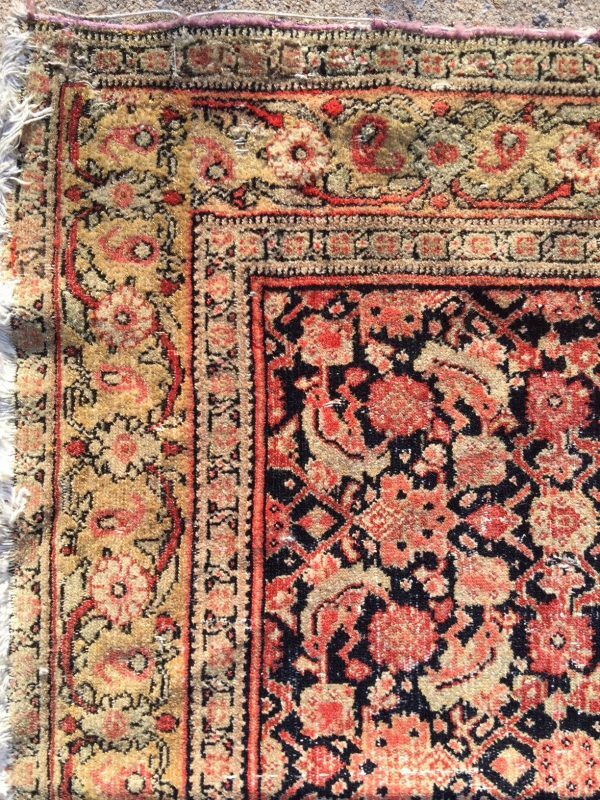 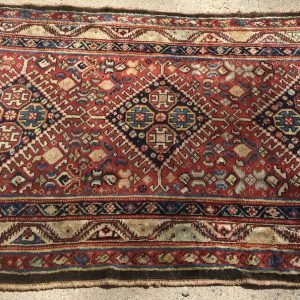 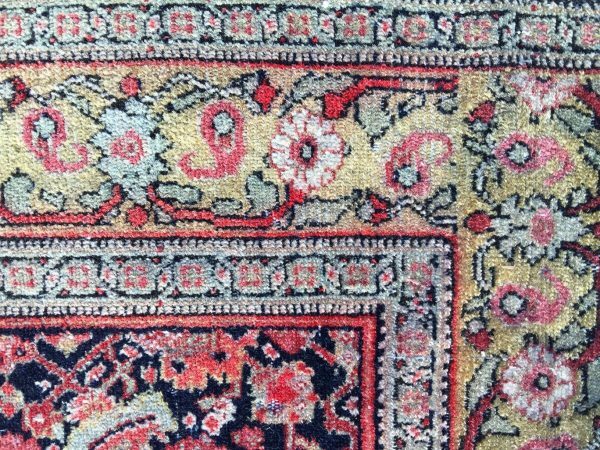 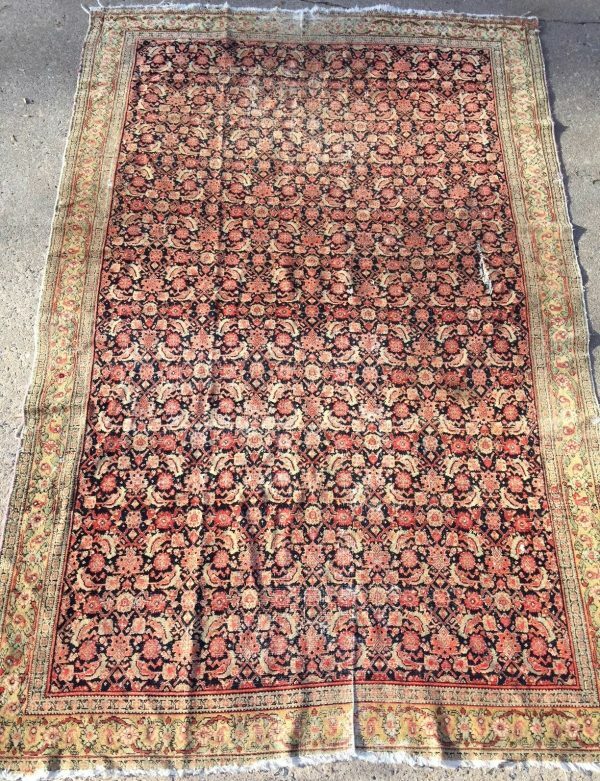 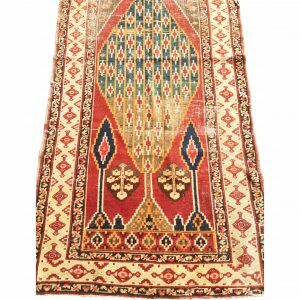 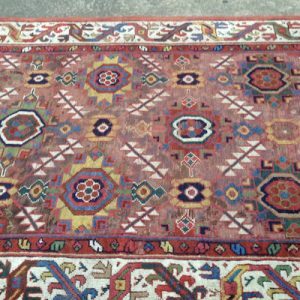 4’5×6’10 Fine old Senneh rug from the late 19th century, Persian. 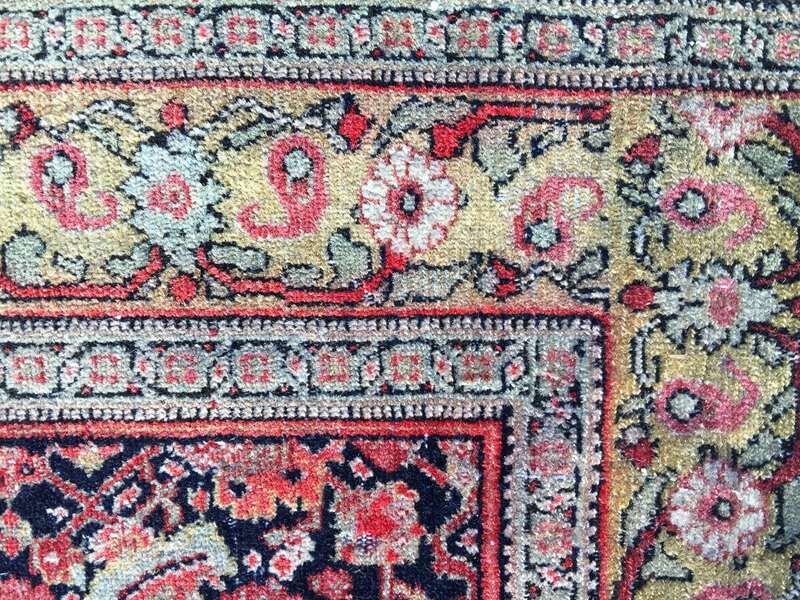 Indigo field with an allover Herati pattern and a narrow gold border. 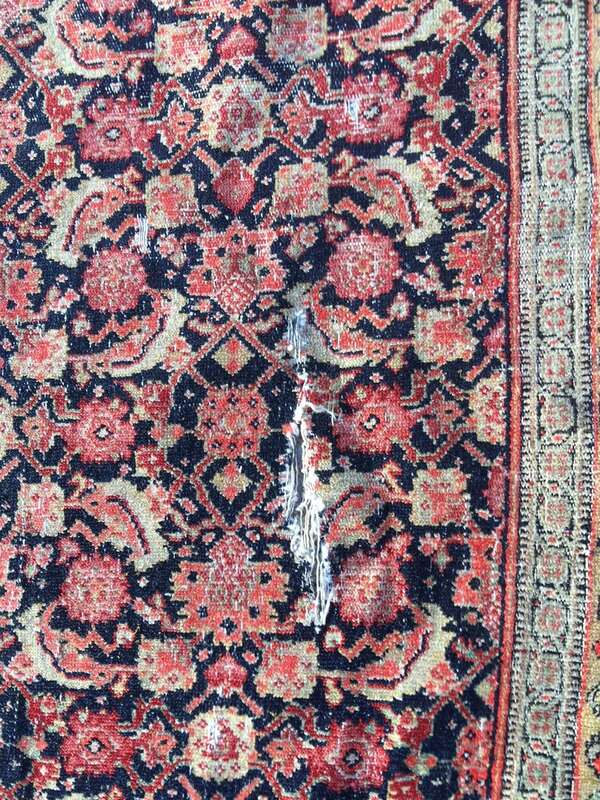 Rough condition, showing wear and a few slits.